Film a ZLP Episode With Us! This is an example of how a ZLP Affiliate Member page will be displayed. 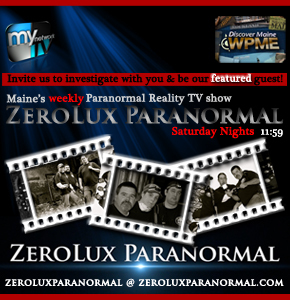 Your Team or Individual Bio: This is where each team (or individual) affiliate will promote themselves via a thorough bio which describes their field(s) of interest, their experience, and why they chose to become members of the ZeroLux Paranormal Organization. It's also the perfect place to share achievements, goals, aspirations, and social networking information. The ZeroLux Paranormal Affiliate Member program is currently inactive.